There are many scenarios where our attempts to observe and survey certain species are hampered by our limited sensory systems. Many animals are difficult to detect because they utilise cryptic colouration or disruptive patterns, or they have evolved ingenious behaviours to conceal themselves within their environment. In other cases, environmental conditions such as low light levels or fog, can reduce visibility and disguise even some of our most obvious resident species. 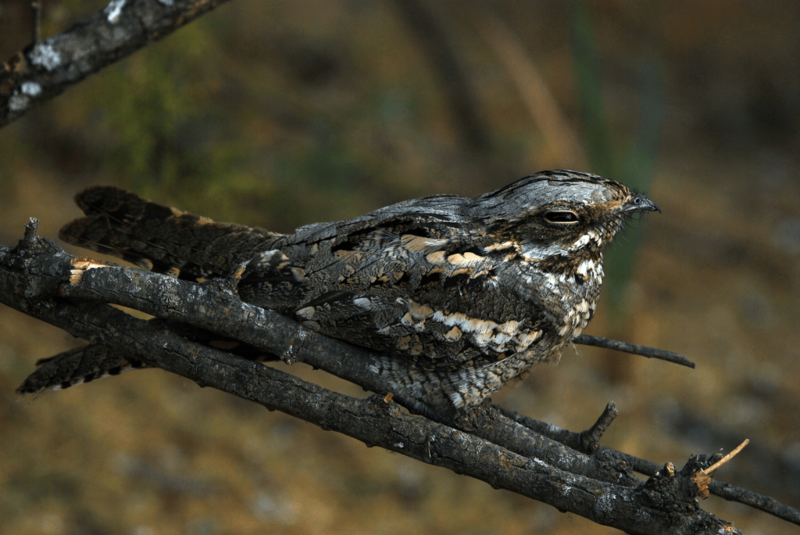 Ecologists, researchers and amateur wildlife enthusiasts have overcome these sensory limitations by using thermal imaging and night vision optics. This article will cover how these different technologies function, highlight their key specifications and give recommendations for those looking to purchase one of these devices. Thermal imaging works by using an electronic detector element to convert the infrared light (heat) emitted by objects in the environment into a visible pattern of colours that vary depending on the temperature of the object. Thermal imaging devices (TIDs) are becoming increasingly common in ecological surveys because, unlike night vision devices, they can produce an image in daylight or complete darkness, even through fog. Resolution – The clarity of the images/videos is determined by the number of heat sampling points. The higher the resolution, the easier it is to spot small animals at a distance. Refresh Rate – Determines how often the screen is updated with a new image. A refresh rate of 30Hz or more is recommended for fast-moving animals such as birds and bats. Zoom – This is particularly useful for larger species identification and counting your target more accurately. 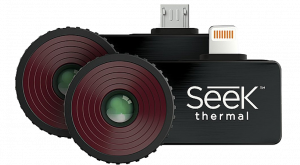 Field of View (FOV) – The horizontal and vertical angle of view that you can see through the thermal imaging device. A wider field of view is useful when detecting small animals. Maximum Detection Range – Gives an indication of how far the device will be able to detect a human-sized object effectively. 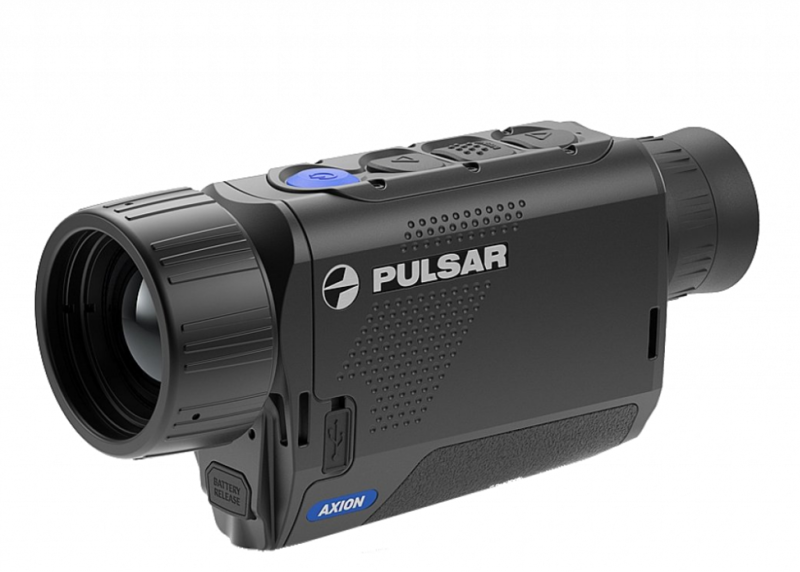 This thermal monocular has a compact, ergonomic design and features all the excellent capabilities of Pulsar’s more advanced thermal imaging devices. 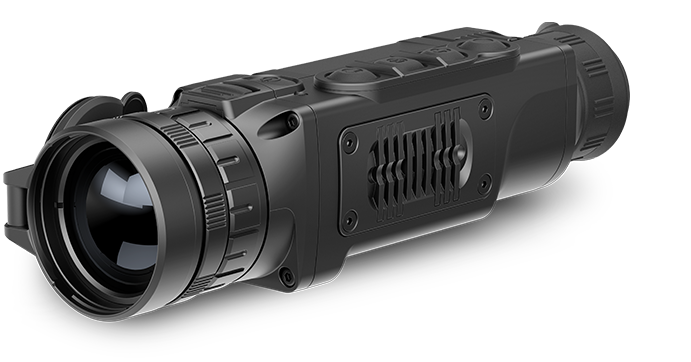 A powerful thermal imaging monocular with an impressive resolution and detection range, as well as full remote control through the Stream Vision app on a smartphone or tablet. Designed to be used with a smartphone or tablet these compact thermal detectors can be easily transported and are excellent for impromptu use. 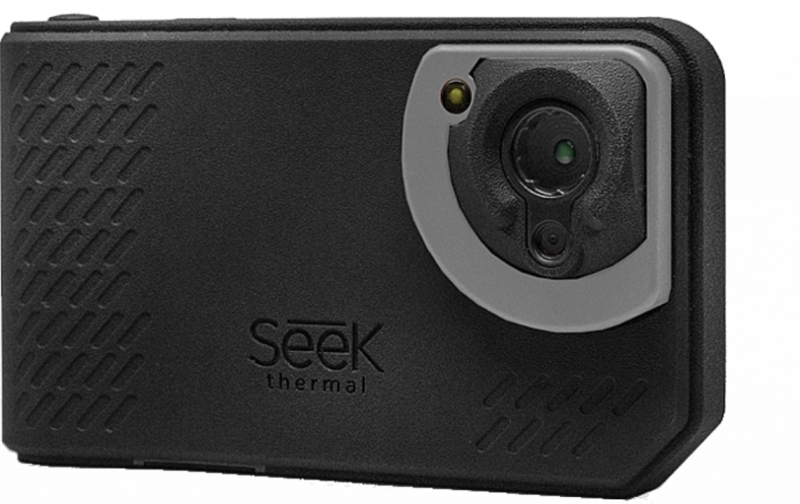 Designed to be used quickly and conveniently, these pocket-sized devices are excellent for obtaining thermal images of species such as bats when they are roosting in crevices and cavities. It is also available in a Pro version which has a greater sensor resolution and field of view. Night vision technology operates either by using an image-intensifier tube (analogue) or an electronic sensor (digital) to amplify the small amount of light present in dark environments to generate a bright image. They typically produce a monochromatic green or greyscale image, however some newer technologies are now able to capture colour images in low light conditions. Viewing Range – The distance to which you can see and distinguish objects using the device can be crucial for certain projects. A low-end NVD will typically have a viewing range of around 200m, while more high-end models can achieve viewing ranges of up to 500m. Analogue Night Vision – These scopes are grouped into generations. Gen 1 scopes are the most economic but have a limited range (approximately 75m), lower resolution and limited field of view. 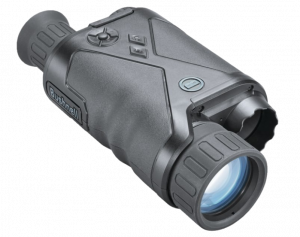 Gen 2 and 2+ scopes offer performance improvements such as longer range, better image resolution and greater field of view. Digital Night Vision – Digital devices typically produce higher quality images than Generation 1 scopes, often have a video output or SD card allowing video capture. IR illumination – Most night vision devices have a built in IR illuminator to increase the brightness of the images it takes, however purchasing an additional IR illuminator may be necessary when working in extreme darkness. 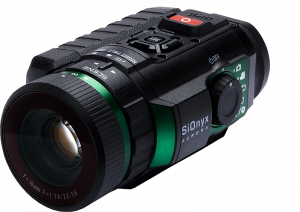 New for 2019, this innovative night vision monocular utilises SiOnyx’s Ultra Low-Light Sesnor Technology to record colour footage not only during the day but also in both low-light and night-time conditions. It also features a wifi module to stream or transfer photos and videos, as well as a GPS module to automatically geotag and timestamp recordings. An impressive digital night vision monocular with a high sensor resolution and viewing range of up to 230m. It can take HD video recordings which can be streamed over Wifi using the dedicated Equinox Z2 App. 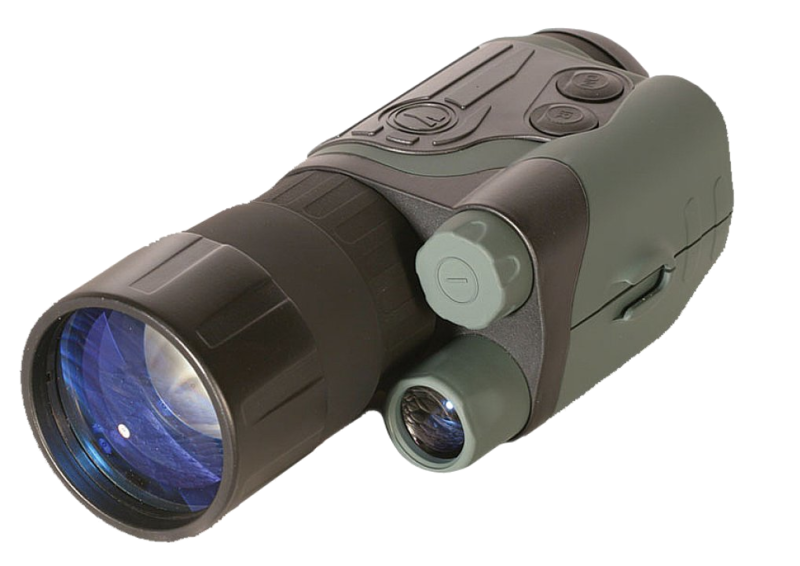 An excellent gen 1 monocular that has been designed for ease of use in complete darkness. It is operated using only three buttons and features a lightweight and compact body-shell to protect against any damage. To learn more about some of these products or to browse our full range of night vision and thermal imaging optics visit our online store at NHBS.com. If you would like some more advice on choosing a thermal imaging or night vision device contact us via email at customer.services@nhbs.com or phone on 01803 865913.